In January 2010, the Supreme Court significantly weakened existing campaign finance laws. The Court's ruling in Citizen's United v. FEC � the latest and most sweeping of a long string of court defeats for the existing campaign finance regulations � leaves the legal and financial landscape of elections in a state of great uncertainty. The JOURNAL has been following the case since it was first submitted to the court for review. Below you'll find complete coverage of the ruling and debate over its ramifications. You'll also find the documents related to the case, what some lawmakers are trying to do to combat its effects, and ways to track campaign dollars online. In addition, the JOURNAL revisited a 1999 FRONTLINE documentary on the influence of campaign money in judicial elections in "Justice for Sale." Citizens United v. The Federal Election Commission grew from a limited question about a political documentary to a broad challenge to the government's right to restrict corporations from spending money to support or oppose political candidates. Encompassing questions on First Amendment rights, the power of corporations and the influence of money on political elections, the case has created an assortment of strange bedfellows. Conservatives and liberals appear on both sides, either to defend the government's right to restrict corporate political advocacy or, on the other side, to argue that such regulations are a violation of the First Amendment. When the court first announced it would be reconsidering the case last September, Bill Moyers spoke with two prominent lawyers involved in the case: Trevor Potter, president and general counsel of The Campaign Legal Center, who submitted a brief to the court in support of the F.E.C. ; and Floyd Abrams, a First Amendment attorney, who argued before the court on behalf of Citizens United. >>View the interview with Trevor Potter and Floyd Abrams here. When the case appeared before the Supreme Court last session, in early 2009, the question was only whether HILLARY: THE MOVIE was an electioneering communication, but the court broadened the case in the re-argument. According to THE NEW YORK TIMES' Adam Liptik, "some of the broader issues implicated by the case were only glancingly discussed in the first round of briefs, and some justices may have felt reluctant to take a major step without fuller consideration." In its January 21 decision, the court overruled two previous decisions that upheld the government's right to limit certain types of corporate political advocacy  the 1990 decision in Austin v. Michigan State Chamber of Commerce, which upheld a Michigan state law, and the 2003 decision in McConnell v. Federal Election Commission, which upheld McCain-Feingold. The Syllabus of the decision, along with links to the rest of the decision, available in html and PDF. Find out how some legislators are fighting to curb Big Money spending even as the Court invalidates laws in 24 states aimed at keeping elections clean. Affected State-Level Laws Twenty-four states currently have laws which restrict or ban corporate spending in elections. 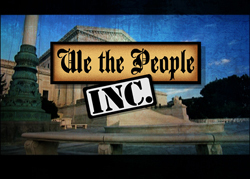 Below, you will find a list of state statutes that may be affected by Citizens United v. F.E.C. Campaign Finance and Lobbying Resources Follow the money and the influence with online campaign finance and lobbying tools.